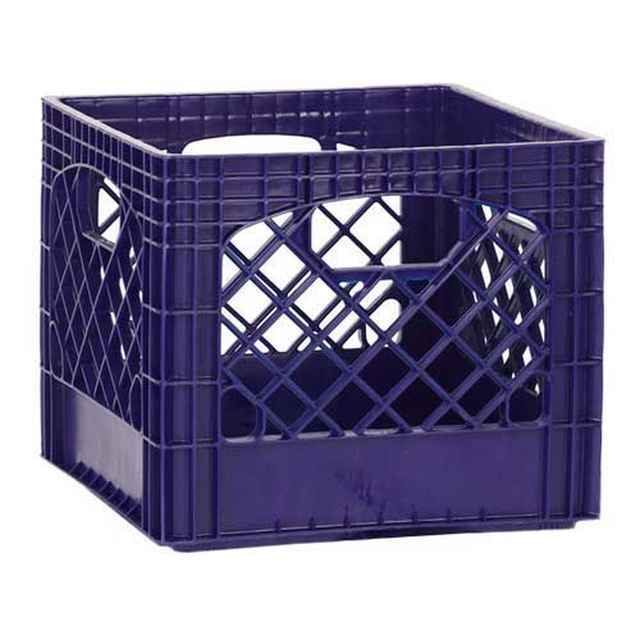 These navy blue plastic milk crates are made with durable, heavy duty plastic. Available in a set of 96, these navy milk crates come in wholesale quantities to help you save. Mix and match colors with another set for your school colors. See all Plastic Milk Crates. Note:Pallets can be customized to include 48 of 2 different colors. Please call 800-736-0651 for assistance with placing your custom order. These items are palletized and ship directly from the manufacturer in about 14 days.